I wasn’t sure which blog best suited this post, but as much of the exhibition content relates to 20th Century experience, I’m putting it here. Well, a prior engagement meant I would be in town, so I went along. … but for the few braving the indoors, there was a fascinating explanation about how the exhibition was put together and some highlights of what was there. 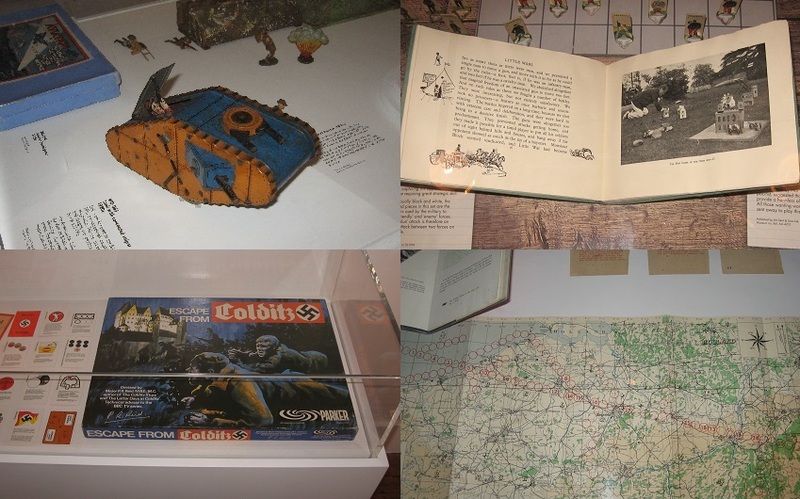 The curators were candid about society’s underlying concerns over war toys and their influence on young minds … but clear that the evidence is at best equivocal: children explore what they see in the adult world around them, and that has always included war. 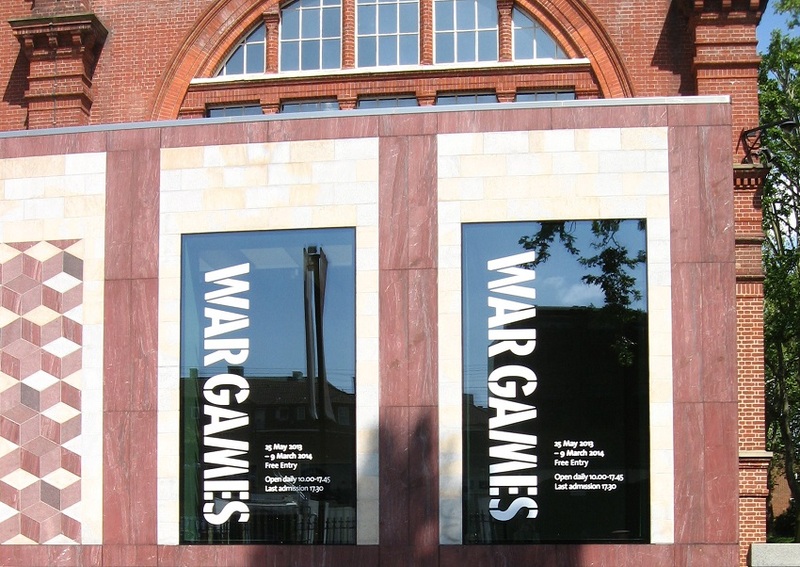 Then again, there is no doubt that governments like to influence everyone, children included, in times of war – and the exhibition promised some great examples. There was a fascinating section on how quickly (cynically?) war toys follow real military events and technical developments … OK, I was aware of growing up with Cold War toys in the 60s (Dinky toy missile transporters and the like) but hadn’t realised that toy tanks were already on the market in 1916 (no sooner had you read about them in the papers, than the manufacturers had the toys in the shops!). That wondeful EL Teb flats set was in production before all the troops came home. 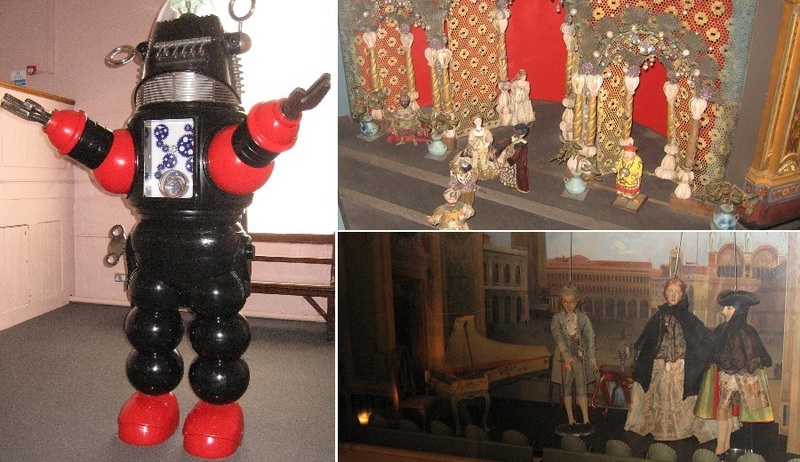 Now I have to own up that this was my first visit to the Museum of Childhood – and I have to say I was very impressed. 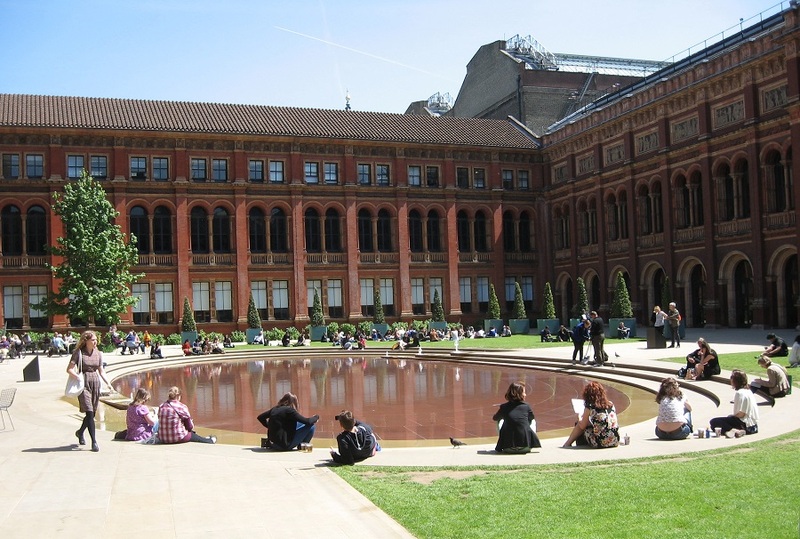 They have got a lot of stuff … and I like museums that have got a lot of stuff. In a kind of old fashioned way, it is high on things to look at and low on telling you what to make of them. 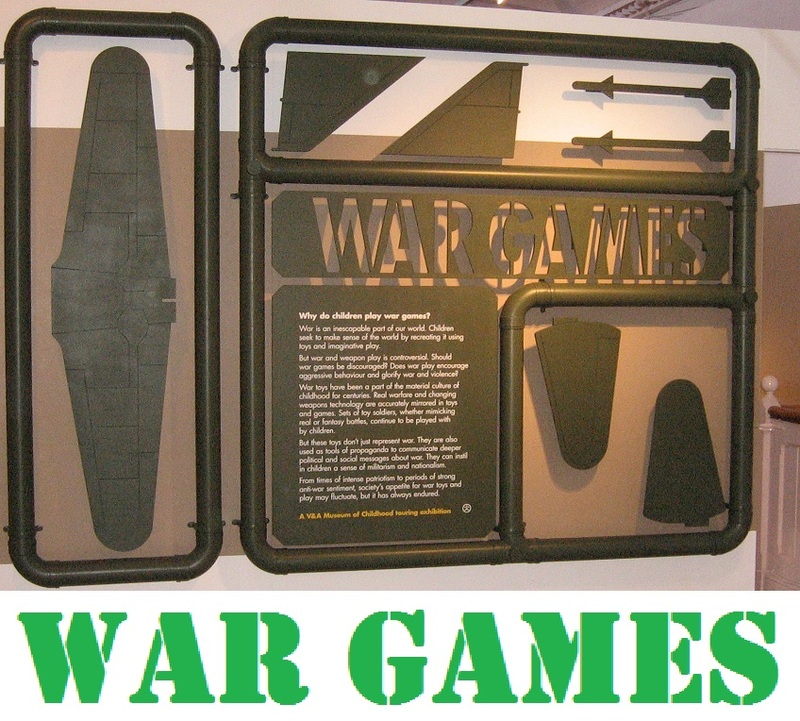 Now I should say that the exhibition itself is not a wargames expo, nor is it a history of the wargames figure (so I should not mislead you – if you want that, you want a show like Partizan or a Museum like the Cumbria venture …), but it is a well considered and well-researched look at how war is represented in toys and models and how playing at war has been a constant part of childhood. 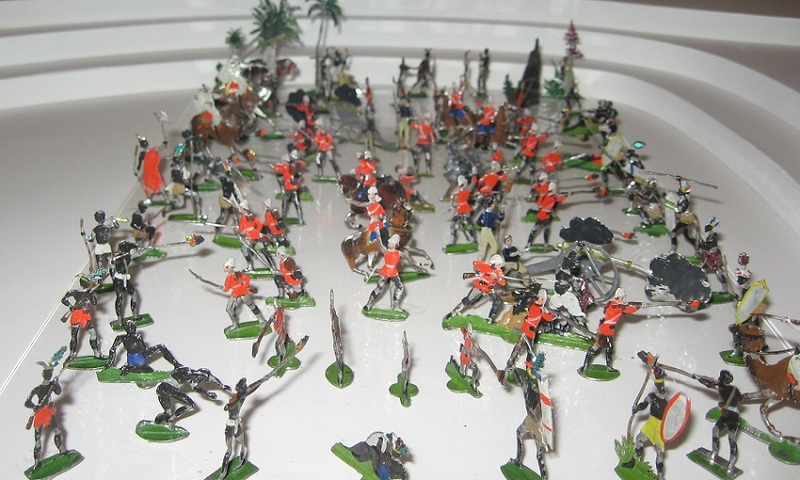 There were Action Men (GI Joe), Airfix kits and the Johnny 7 ‘one man army’ plastic toy gun …. I thought the portrait dolls of Roberts and of Kitchener were great exhibits, so too the familiar Hitler puppet, and I really enjoyed the playful main captions built as giant aircraft model sprues. 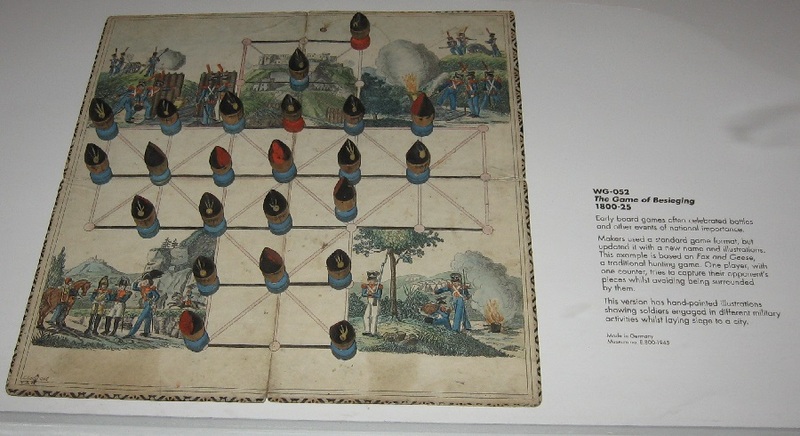 All in all, a well judged appreciation of games of war, war toys and playing soldiers. It is not a big exhibition, and would suit a lunchtime, I think. Well worth visiting if you are in London (it runs until March 2014). ‘War play is controversial. It is actively discouraged by many parents and teachers as it is thought to encourage aggression. But aggressive play, a type of active play, is not the same as real aggression, in which a child intends to harm. Society, of course, does not always encourage us to respect our enemies. That’s an entirely different topic. 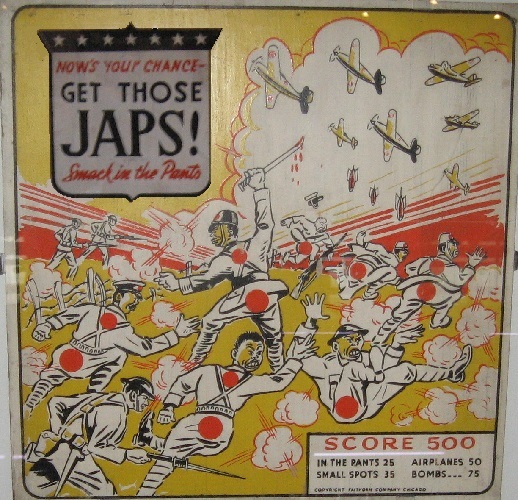 Get those Japs was a darts game. 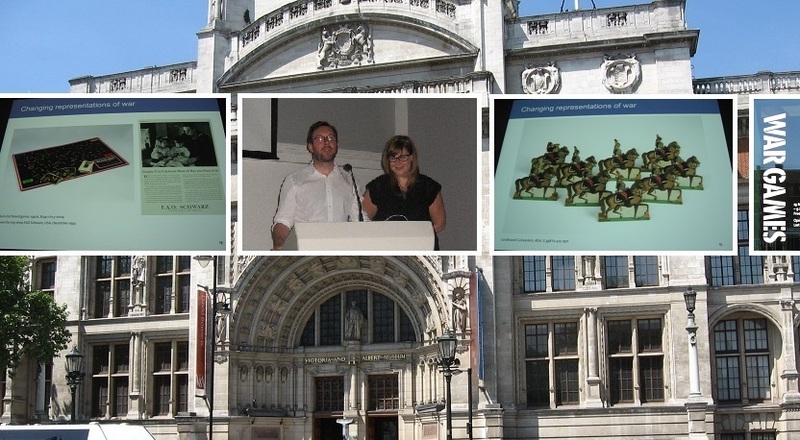 Thanks for a very informative review of this exhibition – it’s definitely on my list of things to visit in the near future! If playing at war encourages agression in adults, then why are there not more police cordons at such riotous gatherings as COW and Partizan? Surely police should be diverted from more inherently peaceful events, e.g. Millwall footie matches? 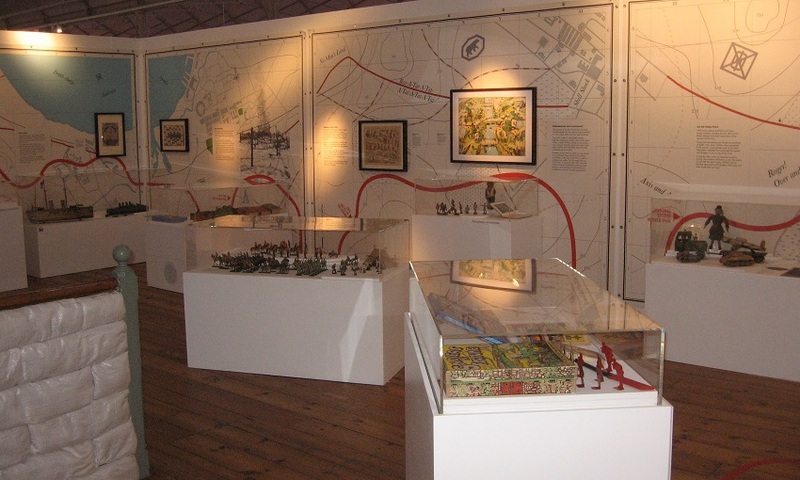 Good reportage on both museum exhibitions, with some fascinating displays and comments. I wonder if there is a licensed franchise to China for the Japanese game? The Fox and Geese game has had more regenerations than Doctor Who I suspect. The other interesting thing was how commercially minded early figure manufacturers were, especially thinking of the colonial flats. Thanks. Although this isn't about any particular period, scale or set of rules, I mainly use 15mm scale, and for WW2, play PBI company level, or NQM or Megablitz operational level games. My regular circle of enthusiasts also enjoy Russian Civil War and Post War 'semi historical' (AK47 'classic'). I find the Not Quite Mechanised period of the late 30's - where horse transport meshed with armoured vehicles - more fascinating than Late War armour (so apologise in advance to 'SS Panzer-fanciers') ... Modelling is very important: if it's worth doing, it's worth doing well.